Japan's Interventionist State gives a detailed examination of Japan's Ministry of Agriculture, Forestry and Fisheries and its role in promoting, protecting and preserving the regime of agricultural support and protection. This account is integral to the author's extended and multidimensional explanation for why Japan continues to provide high levels of assistance to its farmers and why it continues to block market access concessions in the WTO and other agricultural trade talks. Aurelia George-Mulgan is Associate Professor of Politics at the Australian Defence Force Academy, University of New South Wales, Australia. 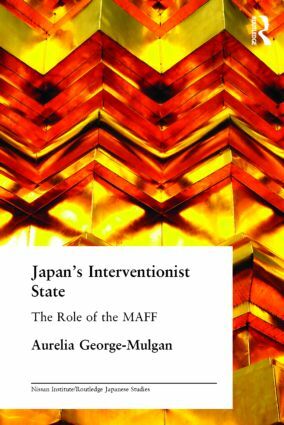 She has published widely in the area of Japanese politics and agriculture and is the author of The Politics of Agriculture in Japan (Routledge, 2000).